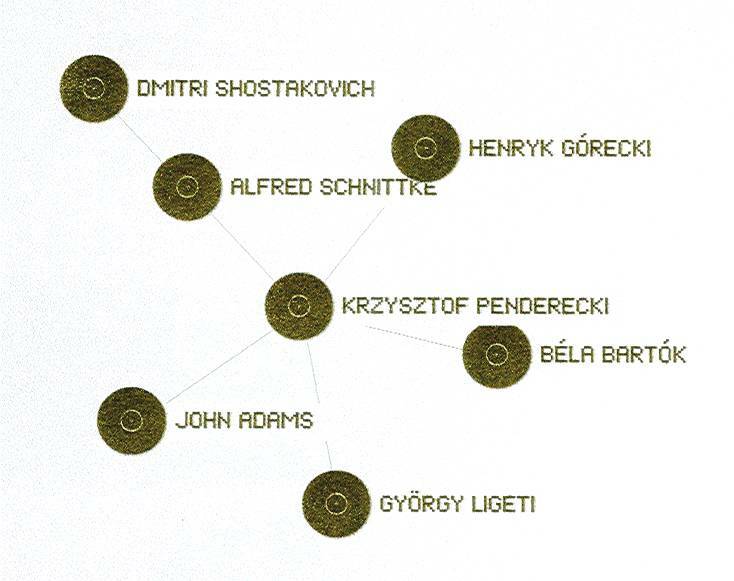 I was delighted to learn that Krzysztof Penderecki, the 75-year-old Polish composer, would be conducting two of his own compositions and one of the late and great Russian, Dmitri Shostakovich, on 25 August 2008—at Berwaldhallen, the beautiful concert hall of the Swedish Radio Symphony Orchestra and the Swedish Radio Choir. This was one of eleven concerts given under the heading Östersjö-festivalen (Eastern Sea Festival), or Baltic Sea Festival, August 21 through August 30, 2008. The Festival was offered to the public as “… a musical symbol as a uniting force and belief in the future,” with special focus on the nine countries and peoples that touch the Baltic Sea. Although I have appreciated Shostakovich’s music for decades, I have only recently become acquainted with Penderecki and am still learning his particular idioms and style. There is nothing like attending a live concert to get to know a piece of music and to intuit the nature of the composer. Penderecki traveled with Poland’s Sinfonia Varsovia to present three pieces this evening: Penderecki’s Agnus Dei and Violin Concerto No. 2, Metamorphoses; and, Shostkovich’s Symphony No. 6. I had not previously heard either of Penderecki’s pieces, nor Shostkovich’s 6th symphony (I possess CDs of his 5th and 7th). Agnus Dei, or “Lamb of God,” is part of a larger piece, The Polish Requiem, which Penderecki dedicated to his country’s sufferings. Penderecki wrote the Agnus Dei portion upon hearing of the death, in 1981, of his friend Cardinal Stefan Wyszyński. I took notes during the concert and wrote these for Agnus Dei: “tragic; dramatic; world made good; movie music; not quite mournful–too energetic.” I had not read the English program notes prior to my hearing the piece, nor did I know it was in memoriam for Penderecki’s friend. This tells me that the composer communicated his feelings well. 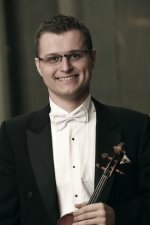 The solo violinist was Jakub Haufa, who is also the first violinist of the Sinfonia Varsovia. Krzysztof Penderecki was a child during World War Two (and) witnessed at close hand the German occupation of Poland and the terror and devastation it brought…Having grown up in a warm-hearted Catholic home, he developed a commitment to humans in suffering. In the power struggle between the church and the former communist state Penderecki was openly on the side of the church. (A) close friend was Cardinal Stefan Wysznski. The night after hearing of (his) death… Penderecki composed Agnus Dei, originally a piece for choir. 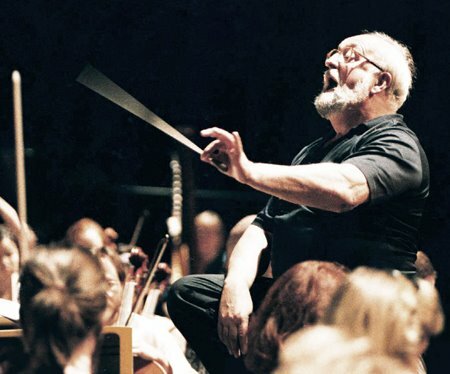 Some of Penderecki’s music has been adapted for film soundtracks. The Shining (1980) features six pieces of Penderecki’s music. The Exorcist (1973) features “Polymorphia” as well as “String Quartet” and “Kanon For Orchestra and Tape”. David Lynch has used Penderecki’s music in the soundtracks of the movies Wild at Heart (1990) and Inland Empire (2006). Penderecki’s piece, “Threnody for the Victims of Hiroshima,” was also used during one of the final sequences in the film Children of Men. I don’t know how accurate this is or how the relationships are determined, but I thought it interesting enough to show here. The last piece of the evening, Shostakovich’s Symphony No. 6, started with the string section in a dark mood. Throughout the piece the individual woodwinds were featured, especially the piccolo. Toward the end of the piece I felt there was mockery or irony, with hints of Sergei Prokofiev-like playfulness and with direct musical reference to his Lt. Kijé suite. The plot of Lt. Kijé is a satire on the bureaucracy of Emperor Paul I of Russia. The audience was quite happy with the performances; they stood and applauded until the conductor-composer returned to lead the orchestra in an encore, the title of which escaped me. It was a sweet, romantic theme played mostly by the string section that may have been written for film by Penderecki. 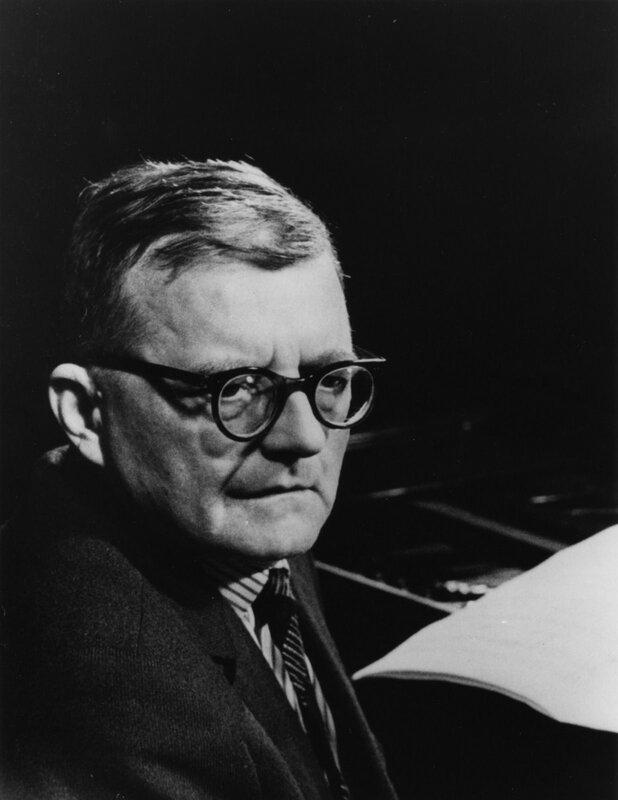 To end this week’s column, here is a “rare” YouTube video of the young Shostakovich playing one of his piano pieces. This entry was posted in History, Music & Musicians and tagged Agnus Dei, Baltic Sea Festival, Cardinal Stefan Wyszyński, Dmitri Shostakovich, Krzysztof Penderecki, Lamb of God, Polish Requiem, Sinfonia Varsovia, Swedish Radio Symphony Orchestra. Bookmark the permalink.